Camping Aux Rives du Soleil es un camping en Pont-de-Vaux, Ain, situado del río/arroyo. El camping tiene plazas con cercos, con sombra, sin sombra y parcelas con algo de sombra. Cabe alquilar tiendas de campaña y caravanas fijas. El camping dispone de de terreno de deportes. Para los excursionistas, el camping ofrece varias rutas para bicicleta. Hay un programa de animación. El camping dispone de una piscina descubierta y una piscina infantil. En los alrededores, podrá nadar en el río/arroyo. En el Camping Aux Rives du Soleil se autoriza windsurf y esquí acuático. Este inspector visita cada año al Camping Aux Rives du Soleil y lo inspecciona considerando más de 200 servicios y otros aspectos importantes. El inspector es un trabajador de ACSI y no trabaja para el camping. VERY nice new toilet block, out of this world! The older toilet block is rather tired and the taps spray out water all over the place. Quite a few mosquitoes in the summer. Good for a stopover. No indication on the road to find it. VERY narrow bridge to access it with a sharp bend as well. Lovely site with very friendly English speaking staff. Good food at the site restaurant. Cycle path along the canal to a wonderful market at Pont-de-Vaux. When we we there towards the end of the season the showers weren't very hot. Site well located for cycling and walking. Nearby village easily reached on foot. On arrival given English version of site and local information. Staff very helpful and pleasant. Site restaurant served good quality food at reasonable prices. The site is owned by Dutch people and the majority of customers seemed to be Dutch also. However British people are made very welcome and English is spoken by the people working on the site. We thoroughly enjoyed our short stay and will certainly return. We only used this site as an overnight stop. You are put on a separate field lined up in rows but the vans are far too close together. Being an English van and having Dutch neighbours our doors were on the same side and when the sun went from their pitch they moved their chairs in front of our front windows. We complained about the closeness of the vans and were told they had a lot to accommodate - we were still charged the full price. Having walked round the site it was a really nice site with nice pitches and I think for a long stay would be very pleasant. ¿Desea reservar u obtener más información sobre su camping Camping Aux Rives du Soleil? Puede hacerlo mediante los datos siguientes o a través de la web del camping. Desde el norte: A6, sal. 27 Tournus. Desde el sur: A6 sal. Mâcon. Mâcon-Nord. Después D906 dir. Pont-de-Vaux. En la rotonda Fleurville cruce el río Saône. El camping está en el Saône. 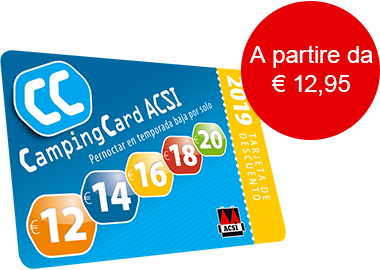 ACSI Eurocampings reenvía su solicitud de información al "Camping Aux Rives du Soleil".